Throughout the country, thousands of men and women are coming round from their Christmas and New Year’s excesses and preparing to return to normality. Young and old alike are, as you read, wistfully pinching inches, consulting with the bedroom mirror and struggling to pull up zips and fasten buttons. In a few weeks time they will be taking up new gym memberships, starting dance fitness courses, like our exciting new Street Fit classes, or finding other ways to address their body shape concerns through 2012. Between now and then is a once in a year period of opportunity, where the remnants of 2011 are being left behind and choices and actions are being made that will shape the next twelve months. If you are intending to teach fitness or dance classes then a huge bulk of these people will be your customers…if you want them. Time is ticking. People are making New Year’s Resolutions to lose weight or tone up – now! People are looking to try new activities – now! People are looking for ways to meet new people – now! Street Fit’s innovative fusion of street dance and fitness workout provides the strongest platform for anybody wanting to get ahead in the dance fitness and dance industry but, if we haven’t made it clear yet, time is starting to run out for those who want to maximize their customer-reaching potential. First of all, we are offering you the chance to become a Street Fit Instructor, for a relative pittance, by enrolling in one of the remaining places on our January and February Street Fit Instructor courses. By getting your hands on one of our exclusive Street Fit licences, you will automatically give yourself an edge in the battle for securing new members, especially from the younger generation. Our eye-catching Street Fit logo and high-definition video promos will give you that touch of style and professionalism that will stand out in the competitive field of dance fitness. By becoming a Street Fit member, we will also help you keep the buzz going. 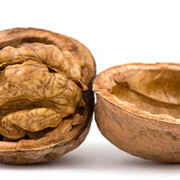 It is a well-known fact that many New Year’s resolutions fizzle out after a few months. It doesn’t have to be that way. One of the secrets to keeping members motivated is ensuring your dance fitness courses remain fresh and relevant. Street Fit members can do this effortlessly by making use of our regular updates, including new workouts and original music. 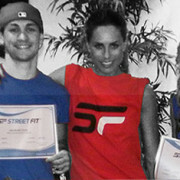 If you’re already waiting to attend your Street Fit Instructor course, you’re well on your way to making 2012 a life-changing year. If you’ve yet to book your place then now is the time to make that commitment because time won’t wait for you…and neither will your customers.